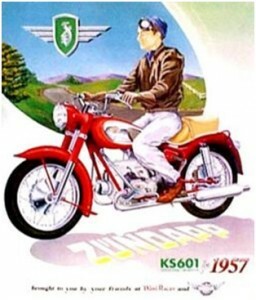 Gasket King is a company that started out of respect and admiration for the motorcycle – its history, evolution, mystique, and overall coolness. Our goal is to keep motorcycle classics alive and running by doing our small part of building the largest database of gaskets available to bike builders, racers and weekend enthusiasts. Our gaskets are produced by us and meet or exceed OEM specs by using the highest quality material produced in American factories. We specialize in composite fiber and can produce over 12,000 different gaskets. If we don’t have it we can make it. Just send us your old gasket, precise drawing or outline and we’ll get to work on it for you. Please keep in mind we don’t produce head gaskets or rings as of yet. Gasket King has made it possible for a father and son to work together as a small business enterprise. Our business philosophy is pretty simple and old school: Do what you say and say what you do. Work at being the best, be a man of your word, and get the job done. If you have questions or need help with gaskets feel free to give us a call us directly at 1.817.562.8178 or email us at sales@gasketking.com.